Affiliate Niche Cash - Secrets to Becoming a Successful Niche Affiliate! Learn how to quickly and easily profit from trends, holidays, and events by using six specific websites with the affiliate niche cash video course. 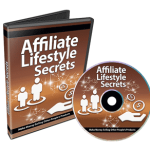 In Affiliate Niche Cash you’ll learn how to profit as an affiliate using trends or popular themes. Learn how to quickly and easily profit from trends, holidays, & events! Use these six websites to easily identify profitable trends. Here are six examples of profitable trends to get you going! Instantly find bestsellers for all niches and product types using this one website. Use these 16 tips to come up with fast markets to profit in! Uncover how staying up to date on the latest technology can lead to money! Learn the simple 5 step process that you can rinse and repeat to grow this into residual cash flow for your business. 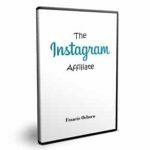 Find an endless amount of products to promote and profit from with these four affiliate networks. Plus watch over the shoulder of a seasoned marketer as he takes you through the steps to setup one of these profit machines for your business!